It can’t get any easier then this. Great for breakfast or brunch, this dish is just the key to utilizing sweet tomatoes in there summer harvest. 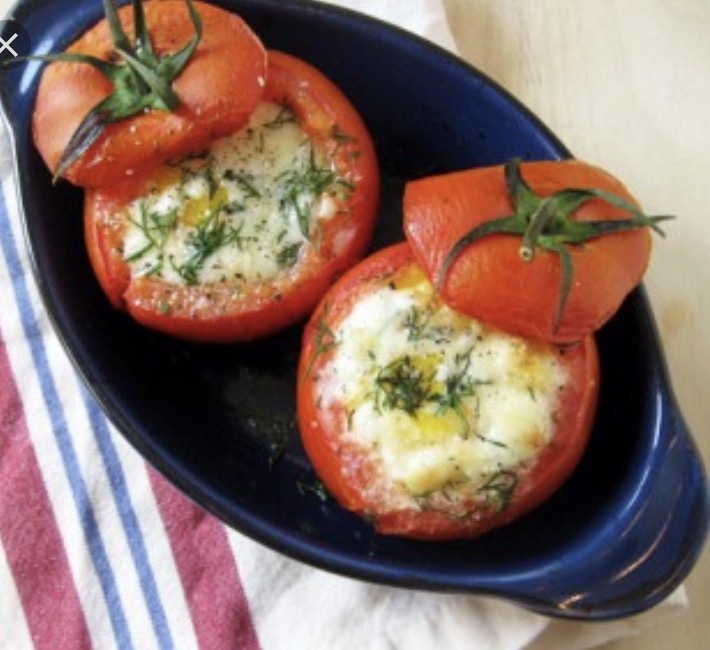 Try the recipe with heirloom tomatoes to get a full dose of flavor and tasty goodness. Break one egg into each tomato half. Season with salt and pepper and bake for 10 minutes more. When dining out, Indian and Thai cuisine’s offer some tasty options! Indian. Seek out grilled and roasted meats + vegetables. Tandoori is often a good way to go. Indian cooking often uses ghee and coconut milk, which is handy for Whole30. Thai. When going out for Thai, curries can be a good choice, but make sure to talk with the server to ensure that there is no sugar in the sauce (most curry sauces are usually made with coconut milk). Make sure to ask for no rice.